I am so loving the word “no” right now. I would sing it like a choir boy if I could. “No” is the word that God gave us as freedom from distracting thoughts, over busy schedules, expectations to be something we are not. I’m not talking about character issues. I’m talking about feeling anxious all the time. I’m talking about being afraid that we are not being who others think we should be. Maybe even, who we think God wants us to be. So the moral is we should give more and not less right? Plus it’s all followed up with “God loves it when the giver delights in the giving”. I think it’s about our motivation. I’ve had moments where I have given lots out of a stingy heart, because it was what I thought was expected, and I’ve given little with all of the love I had within me. God was way more excited that I was excited about the little than the lot. Geez, if I’m honest, I can’t remember the last time I was excited to give of my time or my money or my prayers. I just got in the habit of giving because it’s what we Christians do. But this burnt out girl is learning, it’s not enough to just give. God wants us engaged in our giving- from hearts that overflow. Do we give because we want to? Or because we think it’s expected? “No”, protects our hearts and our motivations. So if we are going to have and keep big hearts towards people, we have to be able to have and keep our big “no’s” towards the things that would cause us to feel less than delighted in our giving. That’s really hard because it hits right at the heart of what people will think of me. I know, it’s hard to say no. We want people to think that we are the awesome people we know we are- but sometimes the most awesome and sincere and honest thing we can do is nicely say “no”. It keeps our hearts from resenting people and it keeps what flows from our hearts pure. “No” gives us breathing room. 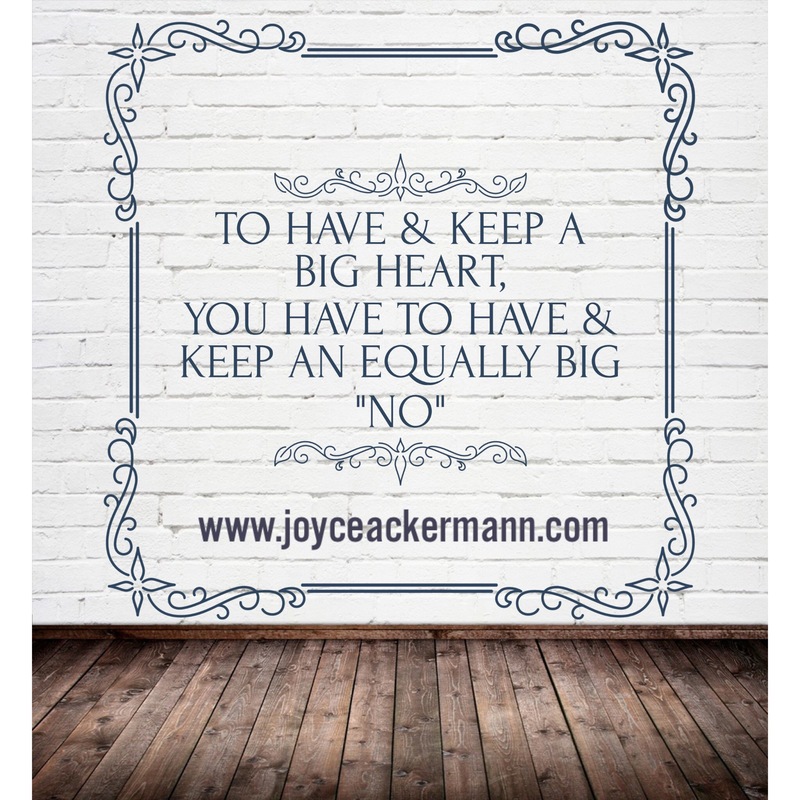 “No” gives us space to really discern our own hearts and God’s. So, not that you need it, but if you were looking for someone to give you permission to say “no”, I’m saying it. Say “no” to things the things that have been slowly killing your joy and your relationships with others. Say “no” to the false expectation to be something you’re not. Because here’s the best part, in the “no” we have more “yes” for each other and for a God that loves us enough to give us a word like “no”.